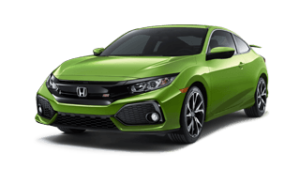 Honda is widely known as a reputable vehicle manufacturer with a focus on providing drivers with affordable yet luxurious vehicles. However, there’s much more to Honda than what we see on the surface. The creation of these vehicles that have been parts of our families for generations has long been influenced by Honda’s history in motorsports. This means that with every Honda you buy, you’re getting a little bit of the performance and engineering that makes their racing vehicles top tier. Keep reading to learn more about Honda motorsports and the influence they have on Honda’s commercial lineup. Though it may not be something that comes up often, Honda has roots in racing that have long inspired the way the vehicles that we know and love are engineered. Honda’s new campaign, “Racing at Heart,” makes this secret double life more public—providing drivers with more information on how our favorite vehicles come to be. Honda has accumulated a healthy number of awards and achievements within the realm of motorsports. Honda regularly participates in programs such as the Verizon IndyCar Series, the Red Bull Global Rallycross, and desert truck racing. The recently announced Honda Civic Si Coupe actually competes in the Red Bull Global Rallycross, and there is a special-edition Ridgeline specially made for the sole purpose of desert truck racing. Other recent achievements include Takuma Soto’s win at the Indianapolis 500 for Honda and the Civic Type-R’s performance that took the spot for fastest lap time around the Nürburgring with a time of just 7:38.8. When you step back to look at all of these achievements as a whole, you can clearly see that Honda’s passion for creating sporting vehicles radiates throughout their entire lineup, bringing their line of steadfastly popular models—all with a touch of that racing-inspired performance. Drop in at your nearest Central Illinois Honda Dealers location and we’ll be happy to tell you all about Honda’s great lineup. You can also contact us online to learn more about our financing process or special promotions we may be running.